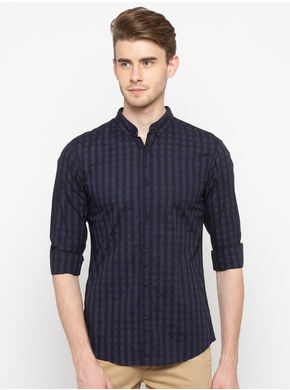 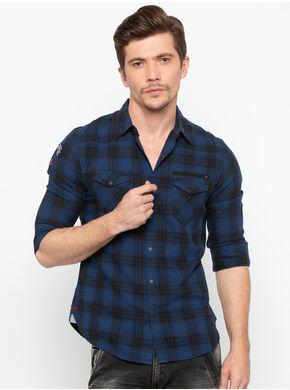 Add a stylish note to your weekend look by donning this blue casual shirt from Spykar. 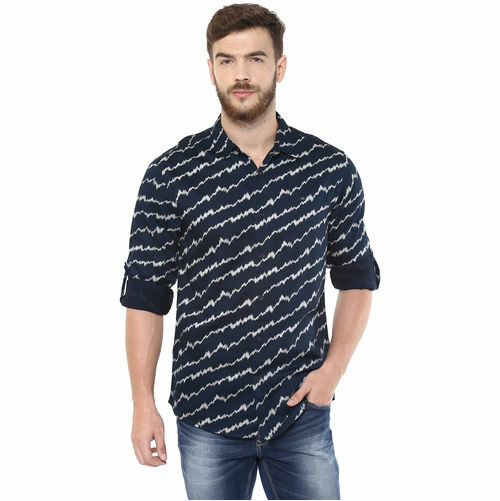 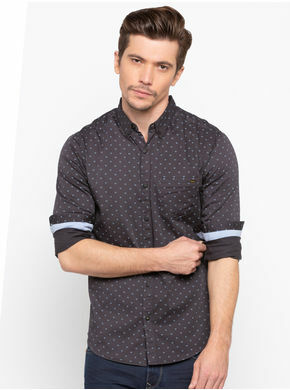 Offering a comfortable fit, this shirt is styled with a spread collar, full sleeves with roll-up styling and a striking print. 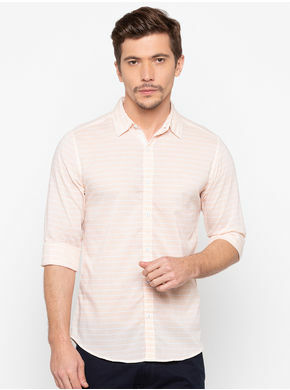 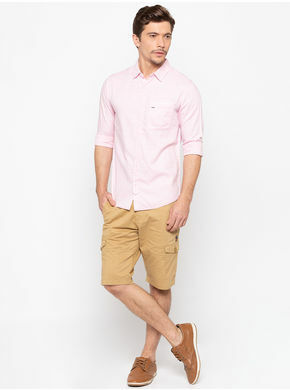 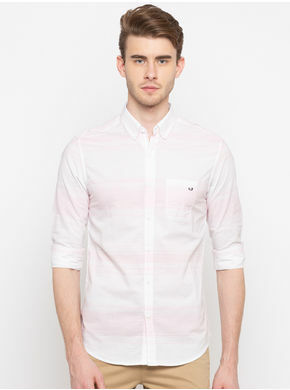 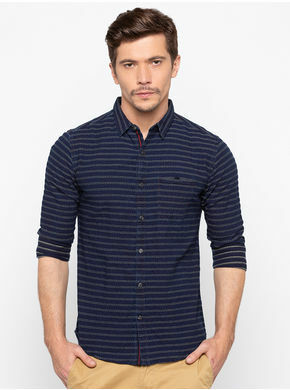 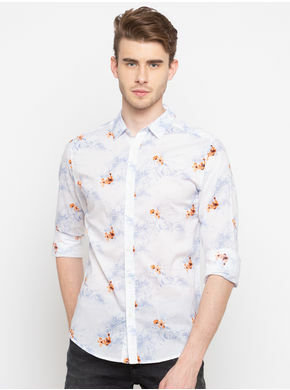 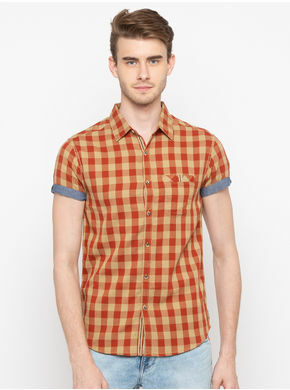 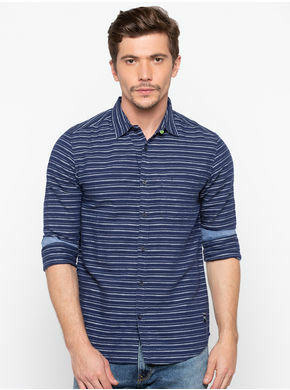 Complement this shirt with jeans and canvas shoes for summer ready style.